All topics alkaline diet alkaline eating alkaline food Alkaline Info alkaline lifestyle alkaline living alkaline recipes AlkaMind AlkaMind Daily Greens AlkaMind Organic Daily Protein avocado benefits of fiber cancer info cancer nutrition Dr. Daryl Gioffre Get Off Your Acid getting enough protein good sources of protein hemp protein high fiber foods insoluble fibre Leaky Gut Syndrome organic greens pea protein Pillar Post powerful foods Sacha Inchi protein soluble fiber sources of fiber The Ultimate Alkaline/Acid Food Chart Top 7 Alkaline foods Ultimate Alkaline/Acid Food Guide Ways to Enjoy Avocado Why is acid so bad? You know I love almond milk and other dairy-milk alternatives. They are a MUCH better choice than drinking cow’s milk. However, not all nut milks are created equal - there are some nut milks that are great for you, and there are others that you should avoid like the plague. 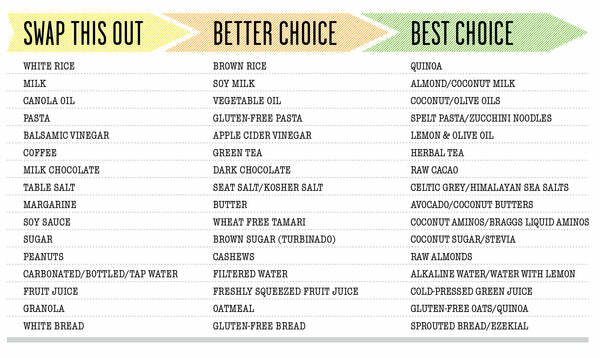 Today, I’m going to tell you which brands you should pick up at the store and my absolute favorite almond milk. If you’re not a fan of almond milk – maybe you prefer coconut milk, cashew milk, or hemp milk, this information definitely applies to those choices too. By the way, I want to quickly address soy milk if you’re thinking that falls into this category. I recommend you stay away from soy for various reasons. While it is better than dairy milk, it is usually loaded with sugar and unless it’s marked Organic Non-GMO, then you can almost guarantee it is genetically modified. I advise you to steer towards almond, cashew, coconut, or hemp. If you take anything away from this article, I hope it’s this: You have to read the labels. This goes for anything you buy at the store, but non-dairy milks especially. 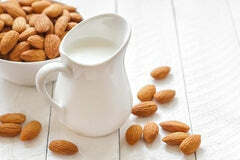 NOT ALL ALMOND MILKS ARE CREATED EQUAL! In fact, even within some brands, they have some almond milk produced with ingredients that are just fine and others that you’ll want to avoid. Water – Filtered water is preferred, as non-dairy milks are mostly made up of water. Almonds or Cashews – Organic is best (in fact, it should be essential), so check the label and also look for the green and white USDA Certified Organic symbol on the carton. Sugar – Here’s the first of the big problems with store-bought non-dairy milks. Many of them add sugar.And also look for the number after the word ‘carbohydrate’, as carbs = sugar, and sugar = ACID!The fact is, you don’t need the sugar. Nut milks are plenty sweet naturally, so make sure you’re getting a brand without sugar. And that goes for cane sugar as well – to your body, sugar is sugar in all forms. HUGE caveat here though… Brands that advertise “light” or “low sugar” nut milks often replace sugar with artificial sweeteners, which you know are one of the worst things on the planet you can ingest. Skip the sweetened versions and go for cartons marked ‘Unsweetened’ instead. 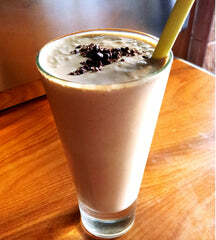 Xantham Gum, Locust Bean Gum, or Gellan Gum – These thickeners and emulsifiers are added to thicken non-dairy milks. Again, some are good and some are bad. Studies have shown that the ones like Organic Guar Guam are good, while you should avoid the ones like Xantham Gum, which can alter your gut’s microbiome. Sunflower Lecithin – This is a fatty acid substance in sunflower seeds that makes foods creamier. As long as it’s derived from sunflowers, this ingredient is fine. If, however, you notice Soy Lecithin in your non-dairy milk, you should switch to a brand that use sunflower. Most brands have steered away from soy because of concerns over GMO’s and soy in general. Potassium Citrate is a potassium salt of citric acid and it’s completely safe as an ingredient. Carrageenan – This ingredient is the other BIG problem with many store-bought non-dairy milks. Carrageenan comes from red algae, and it’s added to nut milks to stabilize and thicken them. Not only is carrageenan indigestible to the human stomach, it’s also a known carcinogen. A recent review of 45 animal studies on carrageenan from 2001 revealed that it produces ulceration of the colon and extreme inflammation. Very few studies have been done on the effects of carrageenan on humans. Bottom line: Don’t buy ANY products with carrageenan. Fresh is ALWAYS best. So if you have the opportunity to make your own homemade almond milk that is what I recommend. With that said, we don't always have the time or the resources to do this. When that’s the case, use the buying recommendations above. It takes a little bit of time, but making your own homemade almond milk is actually easy and it’s fun to make. And the results are delicious. Here is a great recipe for almond milk, but if you’re in a hurry, you can substitute the almonds for cashews – and thus, turn the almond milk into cashew milk. In the preparation. Cashew milk doesn’t require a nut bag. Soak the almonds overnight to remove the phytic acid and the enzyme inhibitors that prevent absorption. This is an important step you should not skip. I soak a huge batch, and then I dehydrate them for 24 hours at 115 degrees Fahrenheit to preserve their raw status and to get them dried and crispy. Thoroughly blend the almonds or cashews in 2 cups of water or coconut water for 1 minute or so. Strain the almond milk in a cheese cloth or nut bag, then add the milk back into the blender. With cashews, you can skip this straining step. Next, add coconut oil, salt, and vanilla and blend again. Include cacao powder, hemp seeds, or a date in this step if you are adding them. Optional: After blending, you can add 2 tbsp. chia seeds if you want to make Almond Chia Milk. It lasts 4 to 5 days. For more tips and information on essential nutrition, follow us on Facebook, Instagram, and Pinterest.